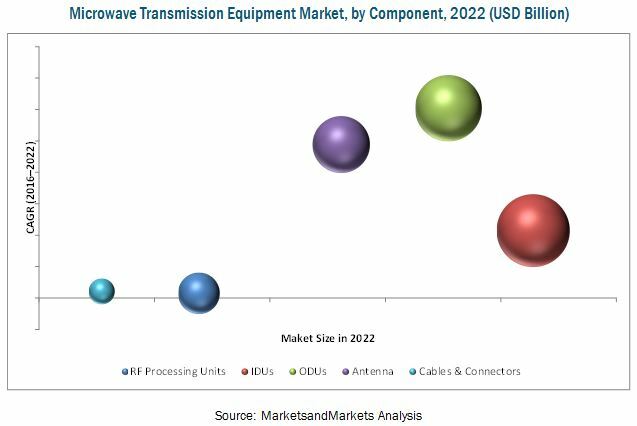 The microwave transmission equipment market market was valued at USD 4.88 Billion in 2015 and is expected to reach USD 6.18 Billion by 2022, at a CAGR of 3.38% between 2016 and 2022. The base year considered for the study is 2015, and the forecast period is between 2016 and 2022. The research methodology used to estimate and forecast the microwave transmission equipment market begins with obtaining data on key vendor revenue through secondary research (IEEE Microwave Theory & Techniques Society, European Microwave Association, The Federal Communications Commission (FCC), The International Telecommunication Union (ITU), and the GSM Association). The vendor offerings have been taken into consideration to determine the market segmentation. A combination of top-down and bottom-up approaches has been employed to arrive at the overall size of the global microwave transmission equipment market from the revenues of key players in the market. After arriving at the overall market size, the total market has been split into several segments and subsegments, which have then been verified through primary research by conducting extensive interviews with people holding key positions such as CEOs, VPs, directors, and executives. The market breakdown and data triangulation procedures have been employed to complete the overall market engineering process and arrive at the exact statistics for all segments and subsegments. The breakdown of profiles of primaries has been depicted in the figure given below. 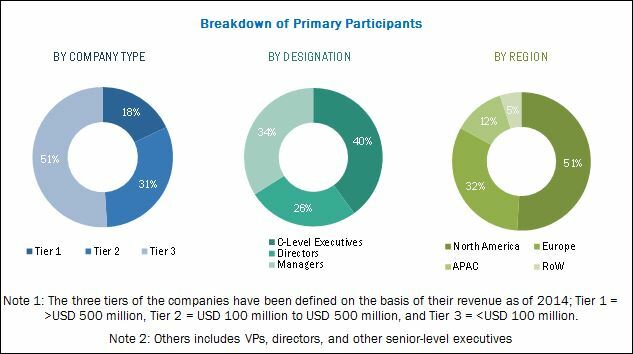 The microwave transmission equipment market comprises major players such as LM Ericsson Telefon AB (Sweden), Huawei Technologies Co., Ltd. (China), Alcatel-Lucent (France), NEC Corp. (Japan), Aviat Network (U.S.), Intracom Telecom (Greece), Ceragon (Israel), DragonWave Inc. (Canada), and Anritsu (Japan), among others. All the above mentioned companies have their own R&D facilities and extensive sales offices and distribution channels. The products of these companies have applications in various industries. The report provides the competitive landscape of the key players, which indicates their growth strategies pertaining to the microwave transmission equipment market. APAC accounted for the largest share of the microwave transmission equipment market in 2015, and it is also expected to grow at a the highest rate between 2016 and 2022. The market in APAC is estimated to grow at the highest rate during the forecast period. The demand for microwave transmission equipment in the APAC region is expected to be driven by increasing the growth deployment of cellular infrastructure, growing network establishment coverage and rise in high bandwidth intensive applications which are key part of cellular industry. 14.2 Huawei Technology Co., Ltd.